Photodoc technology: Envirotrol Pest Management System uses Photodoc technology to thoroughly document its Bed Bug Services. Photodoc technology focuses on areas that need further attention. Additionally, Envirotrol uses a number of treatment strategies, products, and application methods for maximum effect. Treatment methods used by Envirotrol include Vacuuming, Dusting, and eco-friendly treatment options. EASY TO FOLLOW INSTRUCTIONS: Envirotrol Pest Management Systems provides easy-to-follow instructions (printed in English and Spanish) to help residents/occupants understand the importance of full cooperation. Full resident/occupant cooperation is essential for best results. BED BUG IDENTIFICATION: Bed bugs are reddish brown or brown with dark red to reddish spots that leave behind characteristic signs on mattresses and other locations where they rest. When alarmed, bed bugs give off a repulsive odor that can be easily smelled and not forgotten. They are sometimes called "red coats," "chinches," or "mahogany flats." 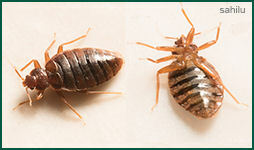 The adult bed bug is a wingless insect that is flattened from top to bottom. Bed bugs are 1/4 to 3/8 inch (4-5mm). Cryonite “Snow” Treatments are now available.With Cryonite, Envirotrols’ Pest Specialists can kill bed bugs quickly, safely, and effectively. 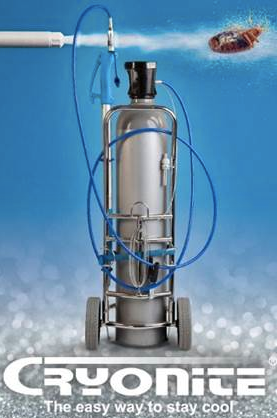 The patented carbon dioxide snow freezes pests instantly. 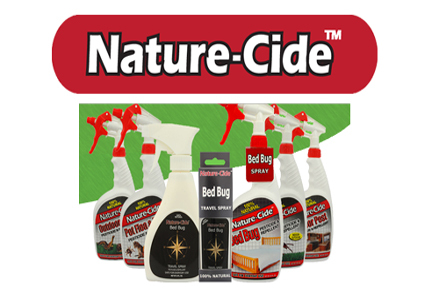 Best of all, bed bugs cannot build up a resistance to such treatments. Cryonite is Clean & Green. It is environmentally friendly and hygienic. The carbon dioxide used is recycled from industrial processes, so Cryonite adds NO carbon dioxide to the atmosphere. Carbon dioxide is non-toxic and non-allergic.